Dodital is known as Dhundi Raj which means the birth place of lord Ganesha more than that its has amazing scenery as you enter in Assi Ganga valley and it has a huge high altitude lake full of the fishes called Brown Trout which has been brought up from Scotland in 1862 by Britishers. Darwa top makes it even prettier. Trip Part 2 (Starts - Oct 13th, 2019). Pick up at Sangamchatti (roadhead) or Uttarkashi. Oct 13th Day 1- Rishikesh to Uttarkashi (1550m) 6hrs drive.. Transfer to Uttarkashi in the valley of the Assi Ganga. (6-7 hr drive) Overnight Camping. Oct 14th Day 2- Uttarkashi to Agora/Bevra 5/7km. 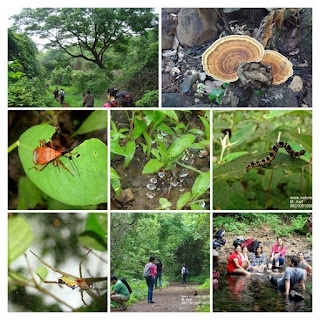 Depart for Bevra – the walk is 8 kms (4-5 hrs) along the Assiganga stream. Bevra is a camping spot 1.5 kms ahead of Agoda village. A dip in the stream in Bevra is the best way to wash out the first day body aches. Early morning breakfast. Commence trek to Dodital, 16 kms (6-7 hrs) The walk is gradual. The Rhododendron and Oak trees mainly dot the trek with occasional Seabuck thorn bushes. There is no habitation beyond Bevra except for the Shepherd shelter in Majhi. 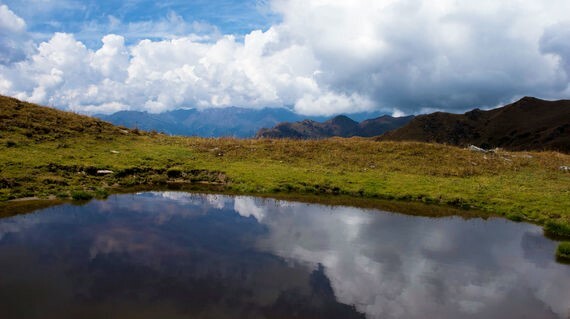 Dodital at 10,000 ft is a fresh water lake amidst thick jungle. The brown trout in the lake adds to the beauty. Oct 16th Day 4-Dodital to Darwa pass/top 6/8km; 4-5 hrs (4150) mtrs and back to Dodital for lunch. Start very early in the morning with packed breakfasts for Darwa Pass. The walk to Darwa top is 5 kms (2-3 hrs). It is a pass at a height of 4150m. The entire walk is an uphill climb. It starts with the climb along the feeder to dodital breaking into a thick birch forest opening into the high meadows. A perfect setting for Himalayan wild flowers, Darwa top offers an amphi-theatre view of the Bandarpunch and Swargarohini range of peaks. Absorb the breathtaking views and start the downhill walk to reach the campsite for the hot lunch. One can also spend this day sipping tea, catching up with the local tales, walking around the lake sighting birds or just observing the clear waters of the lake with the trouts making the occasional appearances. Oct 17th Day-5 Dodital to Bevra 14km. 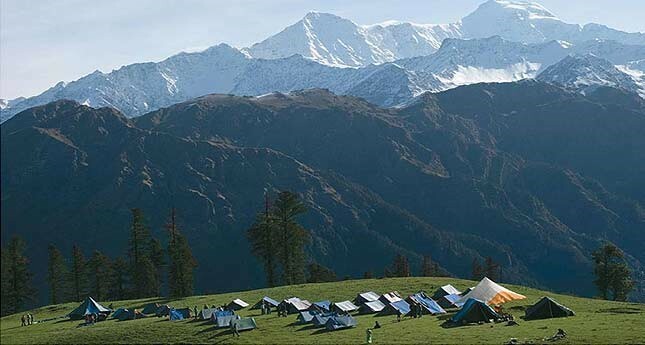 Carry on the downhill trek which at times is very steep to reach Uttarkashi (6-8 hrs). On reaching cleanse yourself with a hot water bath or take a dip in the nearby natural water pool. Dinner followed by bonfire. Oct 18th Day 6- Bevra to Uttarkashi, 7km trek and 15km drive from Sangamchatti. note: And one also can go to Hanumanchatti (Yamunotri) from Dodital via Darwa pass in the same time period. Crew Field Staff (professionals working in High Altitude ) + Guides + Experienced Offsite Facilitator who is experienced in Offsite; Adventure Events. Tax will be applicable as extra. · One knapsack for item of daily use ( To be carried by you. Dodital, the lake with a lot of mythological history is a very happening trekking destination at the present age. Dodital is the birth place of Lord Ganesha and is said to have witnessed the beheading of the deity by Lord Shiva. Surrounded by lush greenery with crystal clear water makes this place as an ultimate destination for the travelers and sightseers. At an elevation of 3307 meters above mean sea level, in the north of Uttarakashi is a precise trekking destination and also holds potential for other adventure sports. 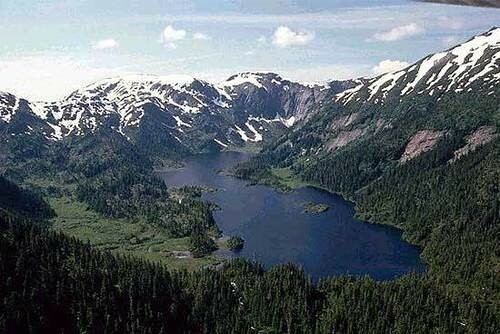 The lake is famous for its Himalayan trout, the exoticness rendered by surrounding forest and tranquility provided by the calm waters of the lake. This is an imposing destination with impeccable beauty and many a facts that are a lot adorable. Dodital provides a lot of opportunity to travelers to hang around in the Asi Ganga valley. There are subsidiary treks transporting one from Asi Ganga valley to Bhagirathi Ganga valley and to the Yamuna valley and vice versa. Apart from a display of natural beauty there is an array of diversity in culture and heritage for which India is known for ages. The array of culture can be seen by travelers during their voyage through remote Himalayan settelements.